Radiolab is a show about curiosity. Where sound illuminates ideas, and the boundaries blur between science, philosophy, and human experience. Radiolab is heard around the country on more than 450 NPR member stations. Check your local station for airtimes. Embed the Radiolab widget on your blog or website. 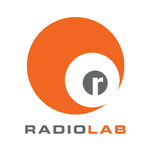 Radiolab is supported, in part, by the National Science Foundation and the Alfred P. Sloan Foundation, enhancing public understanding of science and technology in the modern world. More information about Sloan at www.sloan.org. All press inquiries may be directed to Jennifer Houlihan Roussel at (646) 829-4497. A new discovery: prodding the brain with light, a group of scientists were able to turn back on a part of the brain affected by Alzheimer's disease. Tuck your napkin under your chin. We're about to serve up a tale of love, loss, and lamb chops. In today's episode, we meet a young woman from Texas, born and raised, who can't prove that she exists. In this episode, conception takes on a new form—it's the sperm and the egg, plus two wombs, four countries, and money. Lots of money. During World War II, something happened that nobody ever talks about. A tale of mysterious balloons, children caught up in the winds of war. And the terror of silence. Podcast: Radiolab from WNYC: Are You Sure? Stories about walking the tightrope between doubt and certainty. Trigger warning.